Finally, the time is now! Anderson Silva is coming back to the cage to add another victim to his web. On January 31st, Anderson Silva and Nick Diaz will tangle in one of the biggest fights in recent memory. When the legend of Anderson Silva matches up against the cult of personality that is Nick Diaz, who knows what will happen, but all that is certain is that I will be sitting comfortably in front of the TV screen to watch what madness goes down. Get my prediction for this heated tilt after the jump! Now, it can be said that if this fight went down 3 years ago, it might have even BIGGER consequences and ramifications, but as MMA fans, we cant get too picky with our “superfights.” Both of these guys are essentially past their primes, but that may equal the playing field in this epic tilt. 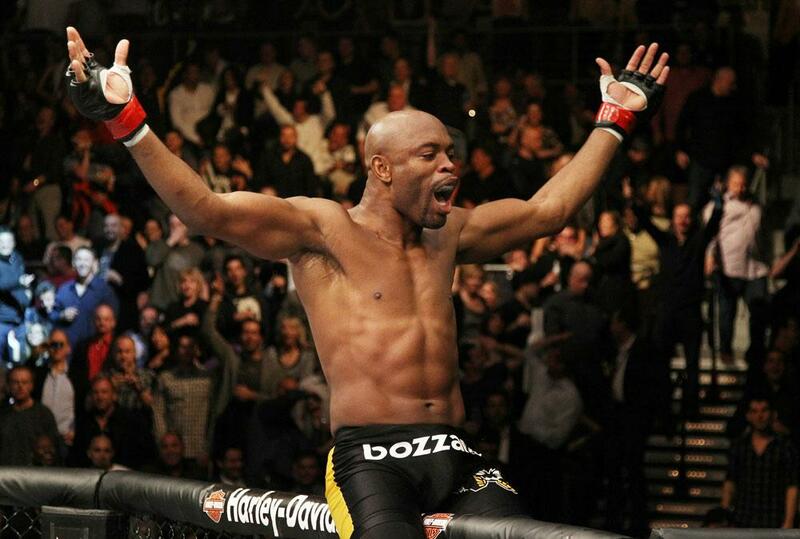 To me, it’s pretty clear that a prime Anderson Silva takes out just about any human that he enters the cage against. Though, what does a 39-year-old Anderson Silva coming off a year long catastrophic injury layoff do against a 31 year old Nick Diaz who hasn’t had any cage time in over two years? Beats me! Anderson Silva is a near favorite across the board, with Diaz listed as 3-1 underdog according to sports betting site MTS. I think this solely relies on each fighter’s respective style, more than what their current expectations are. What wins out on this night? Silva’s precision striking or Diaz’s relentless attack? The fight breakdown at UFC.com shows that Diaz lands 5.63 significant strikes per minute, while Silva only lands 3.11. If you take these numbers into consideration, even though Diaz lands more strikes per minute, this means he will be in position for Silva to land one of his patented deathblows almost twice as often as a fighter would usually. Diaz will mercilessly march forward into Silva’s range and I just don’t see his 209 onslaught tactics working well for him against the greatest to ever lace up the gloves. To make a choice here, I have to pick between two of my favorite MMA fighters of all time. Still, the logic lands in the Silva camp. Even though his injury was gruesome and his age is certainly not decreasing, he still holds all the tools to be one of the greatest fighters on the planet. By nature, Nick Diaz will present Silva with one too many opportunities to clean his clock. The pick is in! Silva by TKO.